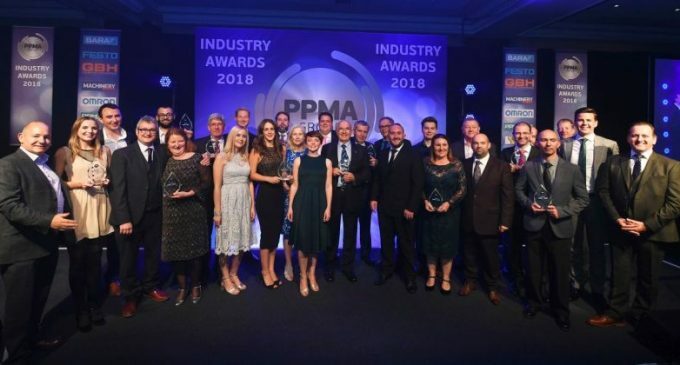 The processing and packaging machinery industry celebrated another year of outstanding achievement and business excellence at the recent 2018 PPMA Industry Awards gala event at the Hilton Birmingham Metropole Hotel. 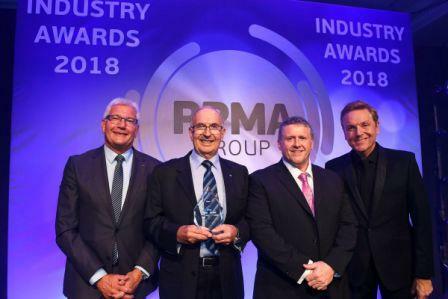 Hosted by TV personality and comedian, Brian Conley, this year’s PPMA Group industry awards continue to recognise manufacturing excellence, technical innovation, entrepreneurship, customer service, sales and training support, as well as outstanding contribution to the processing and packaging machinery sector. PPMA Lifetime Achievement Award Winner 2018 – Dudley Bradley. Pictured from left to right: Mark Butters, General Manager (UK & Ireland), Omron; Dudley Bradley, Executive Chairman, Ytron-Quadro (UK); Dr Andrew Mint, CEO of the PPMA Group; Brian Conley. “Once again, we have been overwhelmed by the number and quality of submissions we have received this year for our Awards, in terms of manufacturing excellence, technical innovation, service and support, which clearly indicates that our sector has much to celebrate,” said Dr Andrew Mint, CEO of the PPMA Group. “However, when looking to the future, we must recognise the challenges that we all face in terms of the skills gap. Therefore, it has been hugely encouraging to see how organisations in our sector are rising to this challenge and we are delighted to recognise this commitment with the introduction of our new PPMA BEST award, as well as honouring our young apprentices; all of whom represent the lifeblood of our industry,” he added.